Most people say everything will be ok in your world again once you start your second trimester. I am not so sure about that. Not for the first half anyway. I was still suffering from evening sickness up till week 18. Every week, there’s certain specific smells or taste which is a big No-No to me. Certain week, it was the smell of chicken. Some week, it was pork. The smell of oil is horrible. So, if I walk pass a stall deep drying food, I’ll turn green. The only thing that I could swallow was vegetarian food. And, it has to be the really plain and simple vegetarian dishes. 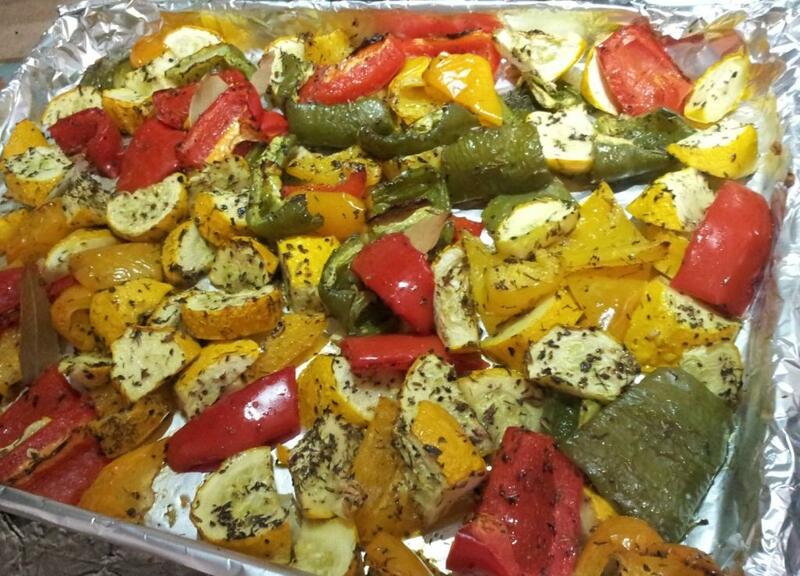 Something really light like the grilled vegetable lightly salt for taste and flavored with some herbs. So, I sort of turn vegetarian for almost a month. But even then, there are days where even eating vegetarian not possible. It was really devastating for me… Those certain days, I survive mainly on liquid diet like soups, milo and water. I love LOVE eating. So, can you imagine me not being able to enjoy eating? Suddenly, eating has become a burden because I had to force myself to eat so that baby is getting some nutrition. I have always live by the motto i live to eat ! but now, I’m eating to live. It was making feel a bit depress. In the span of 1 month, I lost 3kg! It was amazing for me since my weight has never gone down since my University days. My family doctor always joke that my weight is constantly on up trend. I got really worry but my gynae told me that as long the baby is growing, it’s ok if the mummy is losing weight. So, I was comforted with that knowledge. One way I went about trying to force myself to eat was to reshuffle my eating schedule. I divided my meal times s into 4 sections: Breakfast, Lunch, Afternoon Tea, and Supper. For afternoon tea around 4pm, I usually have a cup of Milo or Milk; follow up bread or biscuits. And then, I’ll have my supper around 9pm. Mum prepares some soup and light noodles with vege for me for supper. That was how I manage to survive the evening sickness from Week 7 – Week 18. Besides dealing with the evening sickness, I had UTI (Urinary tract infection) from week 11 – week 16. It was on and off. I check online and it seems that it is a very common problem for pregnant people (le sigh.. why?!!! why?!). I was given some medication to help my recovery. Apart from the medicine, my family GP recommended that I start taking cranberry juice daily. It was super sour but I kind of enjoyed it because it also helps a little with my non-appetite. On top of that, it’s pack with vitamin C.
Can you imagine dealing with UTI and bleeding at the same time?!!! IT was a nightmare!!! Bleh. Every time I had to go toilet, it was so stressful… I developed a phobia going to pee! The only thing which makes it wonderful is knowing my little one is growing well and good inside me. Mummy loves you so much already.